Apples and pears is cockney rhyming slang for 'stairs'. 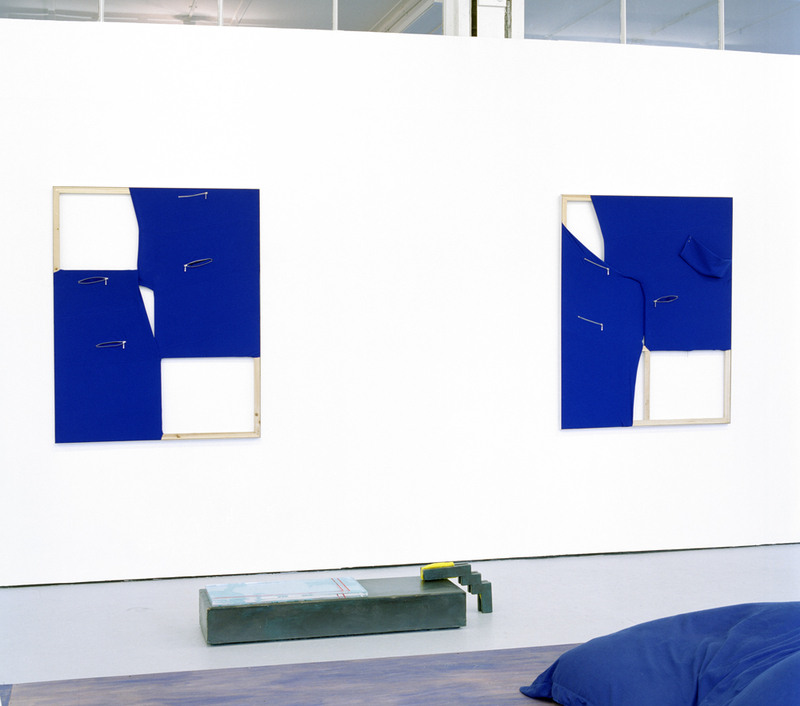 They were two of the fruits Daniel Spoerri exhibited in his 1961 exhibition Grocery Store, which challenged the value system of the art market and the stability of material. Apples and Pears were also subject matter of many of Cezanne’s most seminal paintings that began a shift towards total abstract painting and they are widely available and distributed across the whole world all year round. Apples and Pears is an exhibition, a metaphor and an anecdote surrounding the instability of material and the projected meanings we place upon objects in the practice of everyday living. Much like the statements above, Apples and Pears explores changing approaches to an idea or object, surrounding themes of art history, commodity, mass production and materiality. The simulacra of objects are present among each of the participating artist’s work. The exhibition brings together nine artists whose work collectively forms a feedback loop of information in a series of circular causal relationships. These relationships between each of the artists work result in a series of explorations into material that are generated by one another yet also are the result of their own conception. James McLardy, Ciara Phillips and Kevin Pollock. Developed from an interest in the Silberdistel vase, and its relationship to Yves Klein’s Sponge relief mural for the Gelsenkirchen Opera house 1958/59, James Clarkson has expanded this interaction of homage and plagiarism to become metonymic of the intertwined histories of Modernist art and design. Acknowledging the influence that mass-produced design’s interpretation of High Modernism extends, Clarkson reinterprets the values dictated by Modernism – though, generally, experienced through the distorting lens of these copies. The simulacrum of objects and ideas as the most successful manifestation of them. For Pavilion, Clarkson has designed a domestic setting which attempts to address Modernism’s conflicted marriage of Art and life, and the experience of this through reproductions and second-hand accounts. The pavilion has been created to be a stark minimal living space, elegant through its functionality, with both practical and theoretical elements pared down to gestures. Artists Rachel Adams, Laura Aldridge, James McLardy, Ciara Phillips and Kevin Pollock have been invited to contribute work to the pavilion in order to complete it, and make it habitable. Working within the domestic parameters of the space, the artists have separately contributed work that dually furnishes the space and highlights the problematic relationships inherent within High Art, mass produced design, craft and contemporary practise.